What is a responsive website? Recommended by Google & Bing, a responsive website platform offers the best of all worlds. One website does it all! Mobile, Tablet and PC friendly websites. We know that Michigan companies need their website to produce leads that turn out to be sales. Website companies in Michigan need to focus on consumer demographics and business defined service areas. 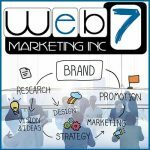 Website development for companies in Michigan requires a unique understanding of the Michigan consumer and how they search on Google and Bing. We have the knowledge, experience and forward thinking to maximize your investment and get you the results you need. Let us develop a modern high-traffic website for your company that is scalable and easy to navigate. Give us a call today to learn more about what we can offer you and your company. If you are looking for the best website companies in Michigan then you have come to the right place.